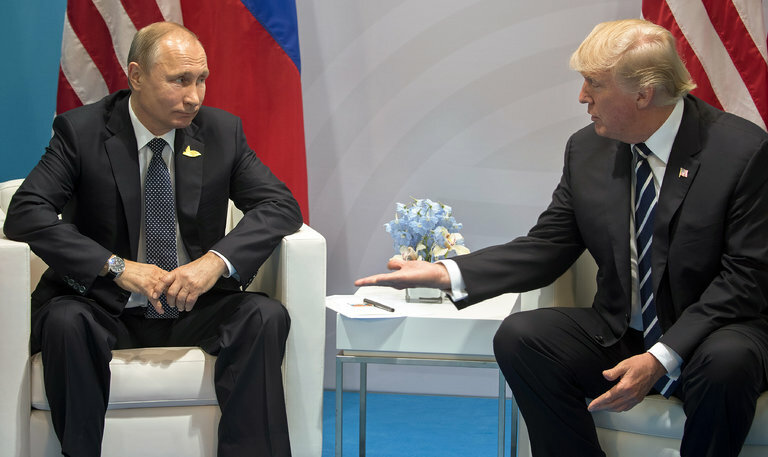 President Trump met with President Vladimir V. Putin of Russia in Germany last July. WASHINGTON — President Trump’s administration imposed sanctions on a series of Russian organizations and individuals on Thursday in retaliation for interference in the 2016 presidential elections and other “malicious” cyberattacks. It was the most significant action taken against Moscow since Mr. Trump took office. The American sanctions announced on Thursday targeted many of the same Russian organizations and operatives identified by Robert S. Mueller III, the special counsel, in an indictment that outlined an audacious attempt to spread disinformation and propaganda to disrupt American democracy and, eventually, influence the vote on behalf of Mr. Trump. The sanctions also responded to other cyberattacks, including a previously undisclosed attempt to penetrate the American energy grid. 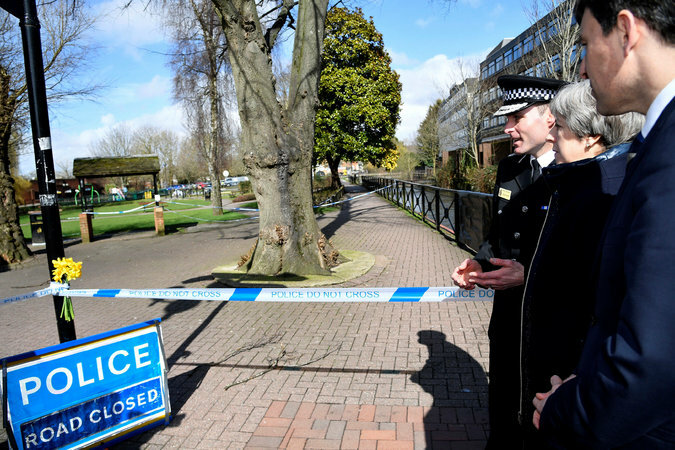 Britain’s prime minister, Theresa May, on Thursday at the site in Salisbury where the former Russian double agent Sergei Skripal and his daughter were found critically ill. The sanctions, targeting five Russian organizations and 19 individuals, will generally block them from traveling to the United States, freeze any assets in the country and bar American businesses and individuals from doing business with them. Among the organizations sanctioned were the Federal Security Service, the successor to the K.G.B. known by its Russian acronym F.S.B., and Russian military intelligence, known as G.R.U., although they, like a few others, were previously penalized under past actions for the intervention in Ukraine.